Graham Rahal had such a comfortable cushion while cruising toward victory at the Detroit Grand Prix he toyed with his push-to-pass system. While Castroneves' second best time in qualifying was still good enough for P2 on the grid, the deletion meant that pole was handed to Rahal and the Rahal Letterman Lanigan Racing team. Marcus Rashford says the Manchester United players channelled their emotions in Stockholm, in the wake of the terror attack back home, to claim the UEFA Europa League title. 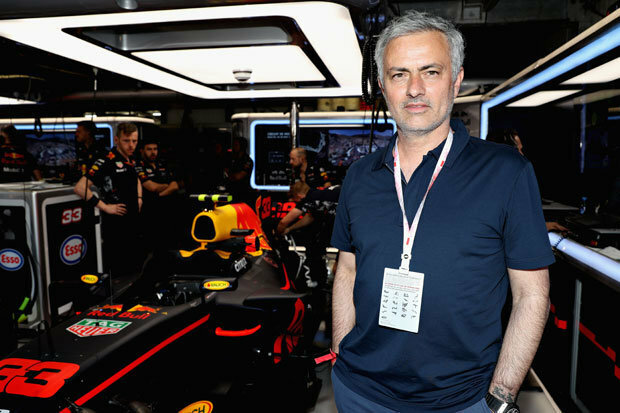 After spending millions to sign the likes of Pogba, Eric Bailly and Mkhitaryan, finishing sixth in the English Premier League was never going to be good enough. Bangladesh will be under pressure having lost to India by a enormous margin of 240 runs in the warm up match. Bangladeshis are the surprise element of this tournament, though, it is not sure that they will be able to fill the void of "entertainers" West Indies. 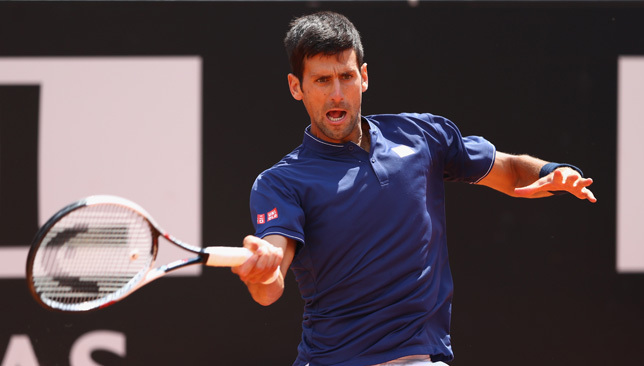 Djokovic and Nadal posted identical scorelines, with the defending champion seeing off Joao Sousa 6-1 6-4 6-3 before Nadal defeated Robin Haase . Nadal, whose next challenge will be against Nikoloz Basilashvili of Georgia, believes things are pretty much under control. Finishing behind Tottenham in the Premier League table sure didn't help Wenger's cause as far as fans were concerned. The Times of London revealed a year ago that Stan Kroenke, the majority owner, had prepared a two-year deal for Wenger to sign at his convenience. Gatland has brought an extremely talented squad of English, Irish, Scottish and Welsh players to New Zealand with him and the sheer quality of the players - even if New Zealand can say the same - is one reason to be optimistic. The Lions departed London on Monday and will touch down in New Zealand on Wednesday morning (NZT), before playing their first match of the tour against the New Zealand Barbarians on Saturday. But also, I think we trust the leadership of the group that we have. "This is something that we'll learn from and we'll respond the right way". The Nashville Predators have never been in the finals before. And then, it got downright embarrassing. Then the Penguins racked up three goals in just over four minutes, and this thing looked done before the first period was out. He scored 21 in the third-nearly matching Boston's 23 points in that quarter by himself. He capped his blistering 19-point outburst with a 3 in the final second of the quarter and celebrated at mid-court by pretending to put two pistols back in his holster. Bush competed for the Republican presidential nomination previous year, but withdrew from the race after losing the South Carolina GOP primary. Tagg Romney has not publicly commented on his pursuit of the team with a group that includes Hall of Fame pitcher Tom Glavine . 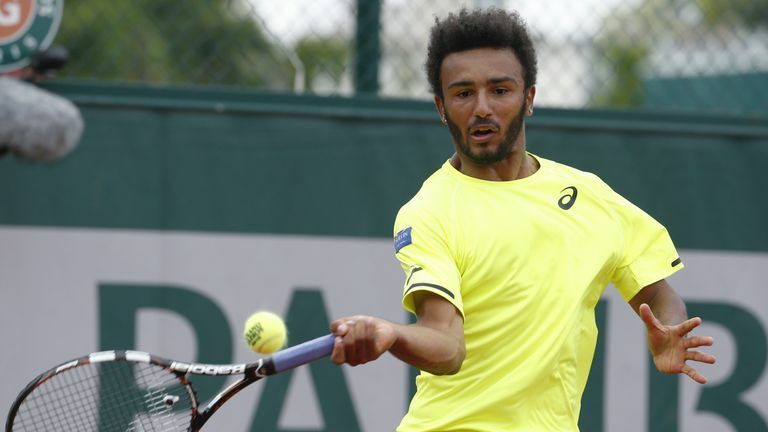 In banning Hamou, 21, from the remainder of the tournament, the French Federation of Tennis, sanctioned his behaviour as a "reprehensible act". After being routed in straight sets in a French Open tennis match on Monday, tennis player Maxime Hamou did an interview with a reporter named Maly Thomas . Takuma Sato won the 101st running of the Indianapolis 500 on Sunday, becoming the first Japanese driver to triumph in America's iconic race. As for the difference between 2012, when Sato crashed in the first turn of the final lap racing Franchitti, Sato said his strategy this year was ideal. That being that the gap between them and the defending champion Cavs remains monstrous. That 135-102 victory, in which James scored 35 points, sent his Cavaliers into a Finals showdown with the Warriors , giving the Cleveland star a chance to draw closer to Jordan's total of six championships. 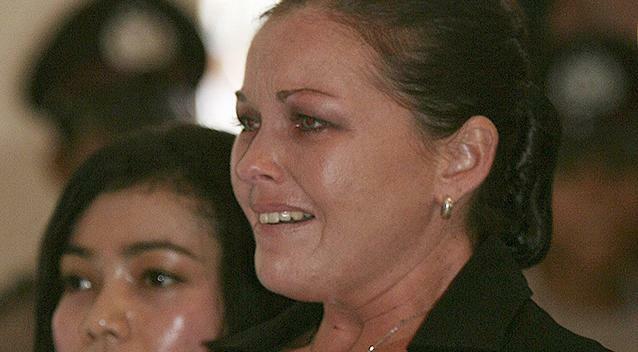 Schapelle Corby has arrived home in Australia, touching down at Brisbane International Airport just after 5:00am today , more than 12 years after she was convicted of taking marijuana into Bali . Mr Keelty said in March 2005 that an affidavit naming three baggage handlers as those who had planted the drugs was "hearsay" that contained no direct evidence to Corby's case. Golden State led the league with a 67-15 record this season and is 27-1 in its last 28 games, including the playoffs. Who isn't consumed with this? That's what this rematch between the Cleveland Cavaliers and Golden State Warriors will amount to when the NBA Finals commence Thursday in Oakland, Calif. I started to focus myself on other players and other people around my neighbourhood. The Finals will mark the seventh straight trip for James and his eighth overall. James bounced back strong after a poor Game 3 performance, finishing with 34 points, five rebounds and six assists, while Kevin Love had 17 points, 17 boards and five assists. He said , "When that goal went in [against United], as soon as Martial took the ball past me I knew I'd made a stupid, stupid error". The 45-year-old Pochettino first cut his coaching teeth in Spain with La Liga club Espanyol, for whom he also played as a central defender, and then at Premier League side Southampton. My neck will be a bit sore after Thursday but we have Friday off and Mikey "Muscles" (Collier), my physio, is back for one weekend. 'It's interesting coming back for one Grand Prix. Not only is the 2017 McLaren-Honda not up to scratch- McLaren have yet to score a single point this season - but this weekend's race will also mark his first outing in the new generation of cars. The Predators now have a 2-1 lead in the best-of-seven series against the Ducks . The Predators have yet to lose two straight games, with Rinne allowing one goal in his two prior starts. Ritchie received an entry feed from Getzlaf and threw a wrister from a ridiculous angle that snuck above Rinne's blocker. Pekka Rinne struggled in net for Nashville , stopping just 22-of-26 shots. Klopp - who turns 50 next month - was beaming with satisfaction afterwards and believes Liverpool are in an ideal position to kick on from here. 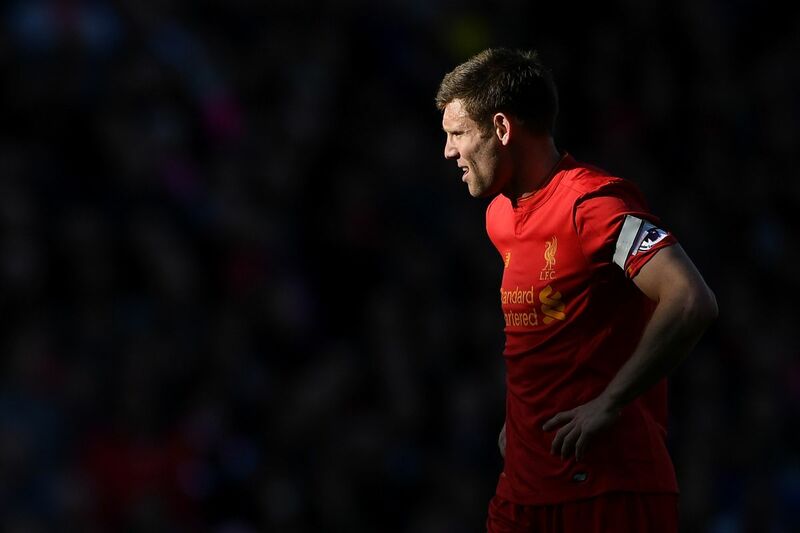 It is a fantastic club in a good situation, not ideal, but a good situation. " Arsenal have got a better squad and they finished fifth". "There is nothing better, maybe in the world". 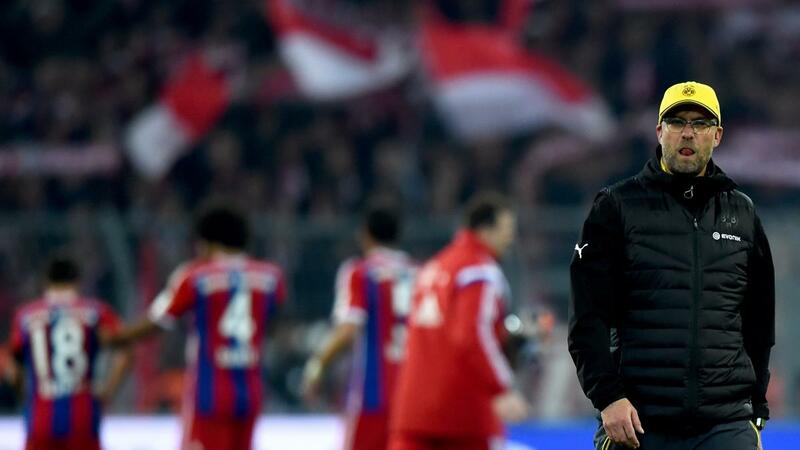 "I've gone on record, I would well and truly be in the Wenger camp." he said. 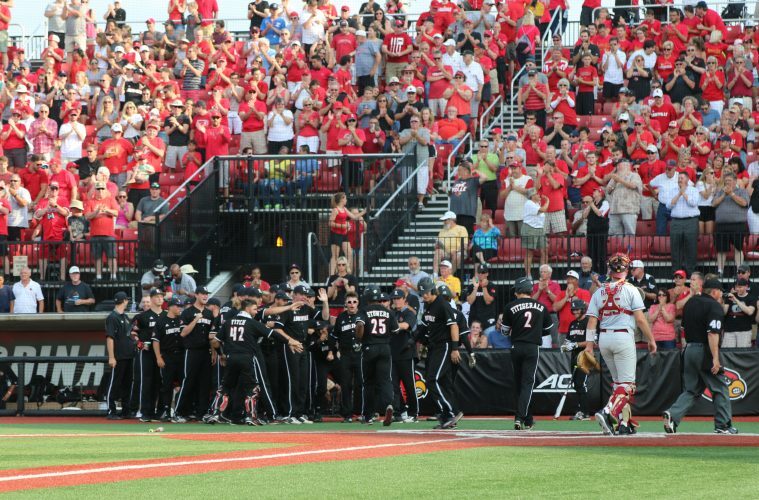 A year ago Duke made the NCAA baseball tournament for the first time in more than 50 years. Following a sweep at the hands of Boston College, who at the time were conference bottom-dwellers, the team ripped off a blistering run to end the regular season. It's a great team, a new stadium, and it's a club that makes its players improve. 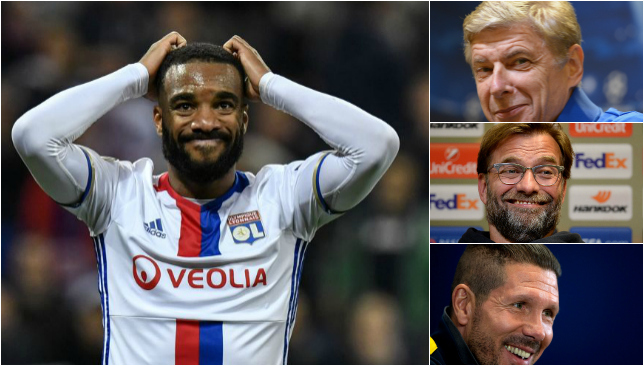 Lacazette says the chance to join Atlético would be hard to reject and admits that Griezmann has been attempting to persuade him to move. While Lacazette will be allowed to leave, Atletico are unable to sign players in the off-season unless the Court of Arbitration for Sport (CAS) overturns a Federation Internationale de Football Association transfer ban. Should they safely see off the Pool A runners-up, the All Blacks would then most likely face England, the Pool C winners, in the semifinals. Twelve teams were included in yesterday's draw by virtue of finishing in the top three of their groups in 2015. The Cavaliers were not that interested in this game, but they won anyway. Win or lose Sunday, DeMar DeRozan believes this season hasn't been a failure for the Toronto Raptors. "It's not going to be like that every night, but when it is, it becomes one of those nights for us". "Nothing could fall for us, especially playing without Kyle". Liverpool midfielder Adam Lallana declares Philippe Coutinho the "main man" and backs him to be decisive during Sunday's must-win season finale against Middlesbrough. The battle for the Golden Boot has gone to the wire this season , with Harry Kane's four goals in Tottenham's win over Leicester City on Thursday seeing him leapfrog Romelu Lukaku to go top. Class acts: Both Lahm and Alonso will go down as not only great footballers but also superb professionals and gentlemen. You can not imagine how good. Lahm has turned down Bayern's sports director role and says he will decide his future after spending time with this family as his wife is expecting their second child. The title put them joint third in the professional era with Nantes on eight titles behind St Etienne (10) and Olympique de Marseille (9). Rumours last month even claimed that it would take an offer of at least €120m, possibly even as much as €140m to prise Mbappe away from Monaco, with the principality club keen not to sell. The Rams , who returned to Los Angeles a year ago after a two-decade stay in St. Louis , played their home games at the Los Angeles Memorial Coliseum last season. "But we will have the option of beginning a rebrand in 2019 or with the stadium in 2020". In that regard, the extra year could benefit the teams. You can really only blame Mother Nature for this. Absent from Indy vehicle racing for six years, Howard emerged atop the speed chart after Thursday's fourth day of practice for the 101st Indianapolis 500. Saturday determines the order of running on "Pole Day", which is Sunday. Each driver can make three attempts at qualifying but by starting a new attempt, it automatically forfeits their previous time. Players eligible for the super max have to meet certain criteria, one of which is being named to one of the three All-NBA teams. That means that neither George nor Hayward is eligible for the new "designated player veteran extension" and their teams have less leverage in trying to retain them in free agency. Lee had a double bogey at the par-4 8th and bogey on the par-4 ninth before regaining her composure with three birdies on the back nine in a round of 70. She said she believes her game "is as good as anyone's" heading into the weekend. I dont think I was hitting the ball fantastic, so there is a little bit of improvement to do there,  Ko said. The Globe's top picks for what to see and do each weekend, in Boston and beyond. 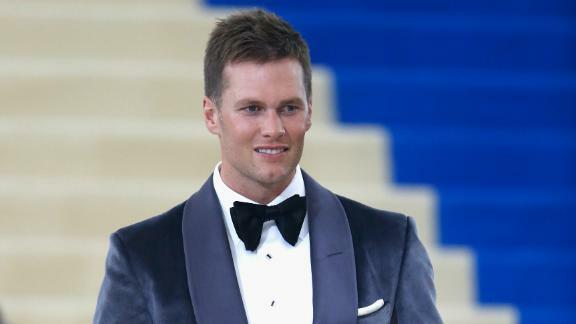 As a man with a famously fastidious diet, whose wife is outspoken on environmental issues , you'd be forgiven for thinking New England quarterback Tom Brady was among the Prius and Tesla-driving celebrity set. The world number two defeated Roberto Bautista Agut 6-4 6-4 to reach the last eight of a tournament he has won four times previously. Djokovic, beaten in the final by Britain's Andy Murray a year ago, will now face Juan Martin del Potro in the quarters after the unseeded Argentinian's third round 7-6 (7/4), 6-3 win over Japanese seventh seed Kei Nishikori. 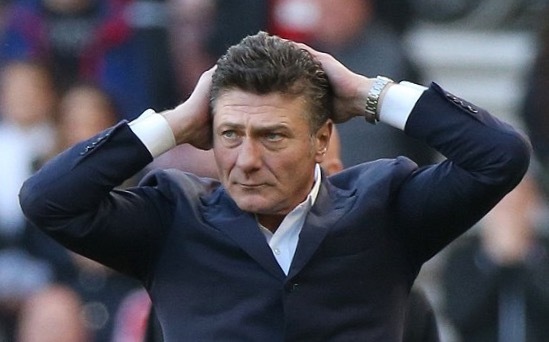 After much speculation regarding his future, including a Daily Mail story that the Watford squad were planning to revolt if the Italian remained at the club, Watford chairman Scott Duxbury has released a statement confirming Mazzarri's departure . They also signed wide receivers Alshon Jeffery and Torrey Smith . The Patriots are expected to receive a compensatory draft pick for losing Blount. Some believed Quinn was just waiting to sign Blount, but obviously, that was not in his plans either. Despite their offseason additions and the faith I have in Carson Wentz , the Eagles are not on the same planet as the Patriots in terms of offensive production .